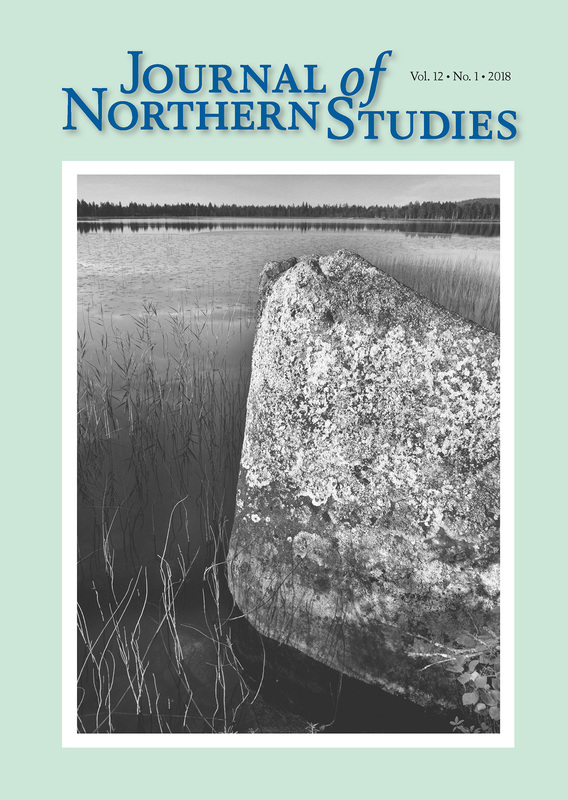 The Journal of Northern Studies is a peer-reviewed academic publication issued twice a year. The journal has a specific focus on human activities in northern spaces, and articles concentrate on people as cultural beings, people in society and the interaction between people and the northern environment. In many cases, the contributions represent exciting interdisciplinary and multidisciplinary approaches. Apart from scholarly articles, the journal contains a review section, and a section with reports and information on issues relevant for Northern Studies. The journal is published by Umeå University and Sweden’s northernmost Royal Academy, the Royal Skyttean Society. EDITORIAL CORRESPONDENCE: Professor Lars-Erik Edlund, Umeå University, Department of Language Studies, SE-901 87 UMEÅ, Sweden. Umeå University, Department of Language Studies, SE-901 87 UMEÅ, Sweden.